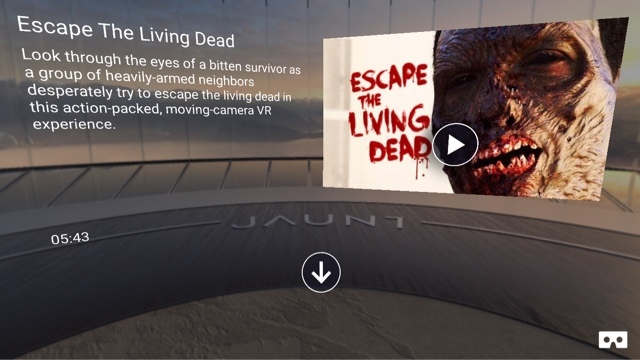 Escape from zombies in this new Jaunt VR video! Jaunt VR has a new video featuring an escape from a zombie apocalypse. The action-filled short film is in the first person point of view, and is in 3D 360. Check it out!